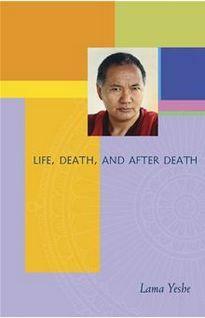 Lama Thubten Yeshe (1935-84) was born in Tibet and educated at the great Sera Monastic University in Lhasa. In 1959 he fled the Chinese oppression and continued his study and practice in Tibetan refugee camps in India. In 1969, with his chief disciple, Lama Thubten Zopa Rinpoche, he began teaching Buddhism to Westerners at their Kopan Monastery, Kathmandu, Nepal, and in 1974, at the invitation of their international students, the Lamas began traveling the world to spread the Dharma.